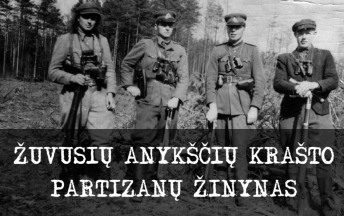 Slaptai.lt presents a very interesting article by Parliament member Arvydas Anušauskas (who is also member of the Seimas Committee on National Security and Defense). 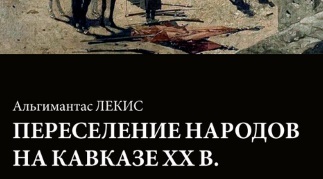 The article is titled “Twisted Footprints in Daugai: Among Russian Deputies of the State Duma, Oligarchs, Diplomats, Federal Security Agents and Soldiers”. 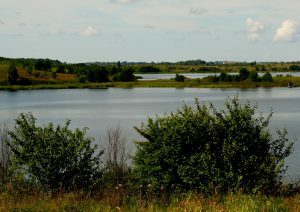 Lakes of Dzūkija. Foto – Vytautas Visockas (Slaptai.lt). The afore mentioned analysis was published in the second half of 2016 at author’s homepage www.arvydasanusauskas.lt, yet the article holds important information to this day. The analysis raises a question – what methods does Russia employ trying to spread its roots in our country: does Russia disguise it with sports, economic investments or Armenian refugees? Interestingly enough, this article has not yet been analyzed or discussed in greater detail. A New Tradition in Daugai. 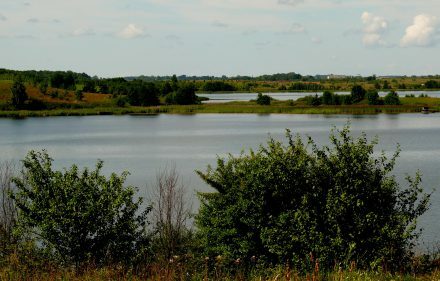 It is known, that 15ha land by the Lake Didžiulis in Daugai, including structures, has been property of private local business till 2013. However, in 2013, all shares of that local business were sold to “Daugų sala”, company registered in Alytus. According to the data of the Centre of Registers, the company was founded in summer 2012. Later, some information appeared in the press, that officially the business was acquired by some company registered in Lithuania, but the real owners were Muscovites, whose activities included constructions, “gold trade” and many other things. In Daugai they planned investing into a very specific area – field hockey. The press was told that they plan building some hotels and few hockey fields. Yet looking over some of the publicly available documents some questions remain unanswered. Why a group of Muscovites acquired such local business in the beginning of 2013, and did the buyers have enough financial resources? The second question: if the buyers had no money – who and why provided it to them? The last question is a tricky one: what is a relation between the buyers and the fund of member ofthe Ministry of Foreign Affairs of the Russian Federation? Interestingly enough, public limited company “Tradition-L”, which was registered in Moscow on October 22, 2012, in just a month, on November 27, acquired 90 percent of “Daugų sala“ shares from one person in Alytus. On January 11, 2013, “Tradition-L” buys the company that ownedaforementioned real estate in Daugai. It is possible that this company was connected to family of one active Lithuanian Social Democrat. The operation of acquisition was instant – only 80 days since the appearance of the company in Moscow. The majority shareholder of “Tradition-L” was entrepreneur Ara Ginosyan, who had one third of company’s shares. Other business partners shared smaller holdings, 6.67 percent each. Do not be fooled – the starting capital of the company was only 30,000 rubles, thus majority share holder’s share was of 1000 litas value at that time. It could not be otherwise – company’s office was in remote suburbs of Moscow, where the same commercial building was shared by many small businesses and only neighbors were logistics centers. Interestingly, “Tradition-L” activities in Moscow was not well known. According to trade-rent indicators, it placed 2750th in a list of similar companies. How could the company have 2 million litas in its balance for all those purchases (according to daily newspaper “Verslo žinios”, Armenian shareholders invested 600,000 Euro or about 2.07 million litas)? Why one of the “Tradition-L” shareholders Grach Petrosyan (with a holding of few hundred litas of shares) was responsible for this purchase? It was noted, that company’s shareholders could engage in various other activities, however, renting apartments for Armenian laborers (and some bakery business shares) was its only profitable activity. 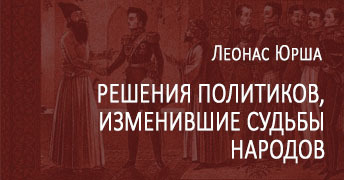 Grach Petrosyan’s company “Urartu”, with initial capital of 10,000 rubles (about 1,000 litas), could engage in “whole sale trade in gold and other precious metals”, as well asin “wholesale trade in gems”, yet its sole declared activity was constructions. In fact, these alleged constructions could not be found, as the company was liquidated in summer 2013. It could not be the other way – company’s office was in Dmitrov town, Moscow Oblast, where the same commercial building was shared by many small businesses. Namely Grach Petrosyan becomes the main “player” at Daugai. 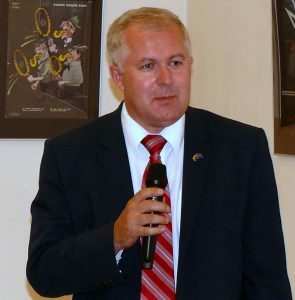 In 2013 he founds Daugai field hockey club “Nansen club” and becomes its president. The club instantly joins Lithuanian business club in Moscow (alongside “Vičiūnai”, “Rūta” and other large manufacturers) when in reality there were no actual “business”. “Nansen club” was titled“a unique sports center” where international “lifeguard teams” would be trained. Firstly, in October 2013, the idea was to establish an international school of lifeguards where divers and land lifeguards could be trained. It was planned that lifeguards and field hockey players would get 3 houses for 20 people each in this recreational base. On August 1, 2015, Grach Petrosyan introduced his plans: the club will train “leaders” among the youth from CIS member states. 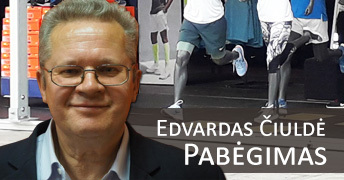 According to him: “all unconventional games in this club are dedicated for one goal – training all-rounded youth “whoare not afraid to take responsibility and who can become full-time lifeguards”. The club prioritizes meeting of young people from different countries who could later become “an international lifeguard team”. In 2015 Petrosyan announced, that he will build one more training base dedicated to working in extreme conditions. Medical training will be part of the education: two or three times a month pupils will visit medicine institute and morgue, they will learn how to sew wounds and how to treat broken or severed limbs (meanwhile, an assembled team of amateur field hockey players takes the third place in B division of Lithuanian Championship). Interestingly, instead of Grach Petrosyan, his twin brother Grant Petrosyan is the real field hockey specialist – an honored field hockey coach in Armenia and former coach of Armenian women field hockey national team. In 1994 he came to Novosibirsk where he had a small business. Instead of caring for the future of field hockey in Daugai, Grant Petrosyan tried to revive this sport in his hometown Gyumri (former Leninakan, which was destroyed during an earthquake in 1988). From 2010 he supported Gyumri youth field goal team. Since 2007 he had an idea of building “Sport-City” complex in his hometown that would include 35 different sport attractions. Yet his ideas during the years 2007-2012 were not interesting to anybody. All suddenly changed in the end of 2012 when Russia became interested in possibilities to spread its influence in Armenia and Lithuania. From FSB Novosibirsk towards Karelin. 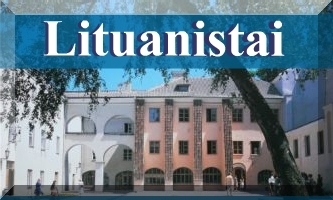 After 2012 elections, Lithuania started preparing for the presidency of the Council of the EU. Starting from January 2013, it was going to be an important member of the trio. Armenia had its presidential elections coming in February 2013, and it had to choose between the Eurasian Customs Union andthe EU Association Agreement. It is obvious, that due to an old tradition, Russian Federal Security Service had its influence in these foreign politics. One of the strongest directorates of Russian FSB always was in Novosibirsk where FSB had its own school and many supervised academic centers. Almost 40 thousand Armenians lived in Novosibirsk. Part of FSB activities were associated with these Armenians to keep Armenia under Russia’s influence. Many leaders made their careers in this FSB directorate as it was an important knot between Europe and Asia – there were always some work to do. Chekists from Novosibirsk were usuallygiven a job in Moscow: FSB Colonel General Yevgeniy Sysoyev, Head of FSB Novosibirsk Regional Directorate 2009-2011, left to Moscow and was later appointed Deputy Director of Russia’s FSB and Head of the National Antiterrorism Committee. General Lieutenant Viktor Ivanovich Batukin, the next Head of FSB Novosibirsk Regional Directorate, was also summoned to Moscow and Sergei Boiko took his place in April 15, 2013. We can only guess, that FSB Novosibirsk Regional Directorate knew about business activities of Petrosyan twins in Moscow and Novosibirsk and that one of them was trying to implement his projects in his Armenian hometown where Russian military base was located. Grant Petrosyan’s Gyumri “Sport-City” project was remembered and the Russian government promised its financial support. Maybe in return he had to do a favor – to acquire essentially useless real estate in Lithuania? Or maybe one of the brothers had to establish Nansen club where “lifeguards” would be trained (and which later would agitate for giving refugees and non-citizens so called “Nansen passports”) and had to join Lithuanian business club in Moscow? Maybe another brother had to contribute with a positive influence among Armenian diaspora in Novosibirsk and Gyumri? Maybe all these questions are retorical? Maybe all of this is just a conspiracy theory? Was it a coincidence, that just after the successful transaction in Lithuania, on February 12, 2013, there was a meeting between Grant Petrosyan (brother of Grach Petrosyan), businessman from Novosibirsk Artur Movsesyan and members of “Karelin-Fund” belonging to Aleksandr Karelin (politician, athlete, member of State Duma’s International Affairs Committee). One of the members ofthis initiative group was Ruben Tatulian, businessman from Sochi, who build Karelin’s sports center for training Russian national teams. According to Grant Petrosyan, the construction was needed not only to improve social situation but also for family members of Russian soldiers who wanted to be involved in sports. It was known from the beginning, that Aleksandr Karelin, representative of the Novosibirsk Oblast in Russian State Duma, plans investing in sports complex “Sport-City” in Gyumri, Armenia (“Sport-City” was planned as a town with 1500 workplaces). Grant Petrosyan treated A. Karelin as a close friend (in 2008 he attended anniversary of “Karelin-Fund”, later, however, he claimed, that his meeting with Aleksandr Karelin to discuss “Sport-City” matters was arranged by Mnac Iskandaryan, Olympic champion of 1992, working as couch in Novosibirsk). As the 102nd Military Base in Gyumri was the main Russian base in Armenia, Grant Petrosyan claimed: “we expect Russia to pay for skating rink and swimming pool, because Russians still live in Gyumri”. But why he missed the fact, while searching for investors in Novosibirsk, that his brother invested 25 million rubles (at contemporary rate) in “sports complex” in Lithuania? One piece of information from Grant Petrosyan’s lips tells us that he perfectly knew about those plans; and negotiations on “Sport-City” construction took place not only in Novosibirsk, Moscow and Yerevan, but also in Lithuania. It is not clear with whom and how, however, it came to agreement that “Karelin-Fund” will build closed swimming pool and ice skating rink. It was officially announced, that A. Karelin was influenced by fact that thousands of soldiers are stationed in the Russian 102nd Military Base in Gyumri and together with their family members it makes over 10 percent of city residents. On March 6, 2013, a project was introduced and the office of “Gyumri-City” fund was opened to coordinate the project further. Grant Petrosyan and Russia’s Consul General Vasiliy Korchmar also attended the presentation. No one asked a question, why a construction project of year 2007 was abandoned for 5-6 years? According to Russia’s Consul, he met with Grant Petrosyan many times before and discussed questions related to obligations from Russia’s side. The total estimated budget was 25 million dollars. President of the fund Ara Abramyan announced, that Russian businessmen and prominent sports funds came to an agreement. Sport-City Facebook page appeared on the same day. Shadows of Russian Parliament Member. “Karelin-Fund” was a perfect solution for opaque financial support, because it constantly was under surveillance of Russian law enforcement and FSB (favor in exchange of favor). Founders of the fund had a financial group. „Accept“ bank was also partially controlled by one of the cofounders. A story below confirms this claim. In 2012, Vladimir Gorohov (former Karelin’s assistant, who later became deputy of Regional Parliament) addressed to Russian Ministry of Finance and later, in December 2013, to General Prosecutor of Russia with a request to investigate the corporate raid on “Mashkomplekt” (logistics complex of 1 billion rubles value) initiated by members and cofoundersof „Karelin-Fund“. However, since February-July 2013, tax inspectors refused investigating this incident. Meanwhile, corporate raiding in Russia is “one of the most profitable and corrupt criminal activities. It cannot exist without corruption and without support of the government”. On January 31, 2016, another article was published, where aforementioned businessman from Novosibirsk revealed Aleksandr Karelin’s business structure. As a deputy A. Karelin could not directly manage his business so he did it through mediators: Yuri Sereda and Yuri Tokarev who at the same time where cofounders of “Karelin-Fund”. Even though activities of A. Karelin and cofounders of his fund were under surveillance, he did not lose trust of Vladimir Putin. Since 2001 A. Karelin was a member of Upper House of Federation Council (as a representative of United Russia political party). In August 14, 2013, he received fromthe presidentan honorary award for promoting sports, even though at that time he belonged to State Duma’s International Affairs Committee. Another interesting fact from his biography is that in 1999 Aleksandr Karelin was Sports Adviser for Prime Minister Sergei Stepashin (1994-1995 Head of FSB) and it is assumed, that he helped Boris Ivaniuzhenkov to become Minister of Sports, who was formerly known as a member of organized crime group “Rotan”. A. Karelin retained V. Putin’s trust, even then Viktor Golubev, godfather of Karelin’s children,board member of his fund, president of “Crystal” sports holding and the man who built sport related objects in Berdsk and Iskitim was arrested, because hehad a small illegal oil refinery that earned him 270 million rubles. FSB also accused V. Golubev of money laundering (over 100 million rubles) through “Accept” bank which belonged to another cofounder of “Karelin-Fund”. A. Karelin was still in favor of the president. On December 28, 2015, he visited military airport near Latakia and together with Colonel General and Commander-in-Chief Viktor Bondarev greeted Russian soldiers in Syria. Sport-City near Gyumri Military Base. Finally, Gyumri city provided 12.5 ha of land for free. Since that day Grant Petrosyan became an active supporter of Russian and Armenian relationship and he often emphasized the close collaboration between Russian and Gyumri as there was the 102th military base located in the city. Moreover, the FSB Directorate in Russian military base in Gyumri monitors military personnel and their environment. And very little happens in that environment without their knowledge. On December 2, 2013, President of Russia Vladimir Putin visited Gyumri military base. He was satisfied, that Armenia finally terminated all negotiations with the European Union on increasing gas import. Meanwhile in Lithuania the last “crusades” were initiated against liquid gas terminal construction and energy independence… Who do you think were initiators of these crusades?